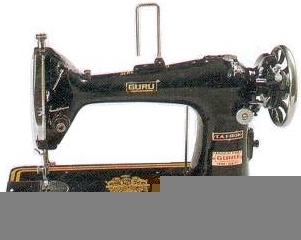 1 Needle, 2 Threads, high speed lock stitch sewing machine for Industrial use. Balance rotary hook system driven by spiral bevel gears. Presser Foot control by hand or by knee lifter. Quick reverse action lever. 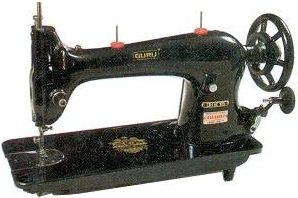 1 Needle, 2 Thread Lock Chain stitch sewing machine for stitching of Canvas, leather etc. Specialized link take up system. Provided with knee lifter system for Presser Foot Lifting.